Xanthe is an ordinary girl, dealing with the everyday struggles of most 12-year-olds. Until, that is, she turns 13 and suddenly things become much more complicated. Whilst Kelly, her age-old enemy at school, seems to have it in for her, Xanthe is baffled by the mysterious glowing X’s appearing before her eyes and trouble and disaster face her at every turn. As her friends begin to question her apparent change in behaviour, Xanthe feels increasingly abandoned by those she trusts. 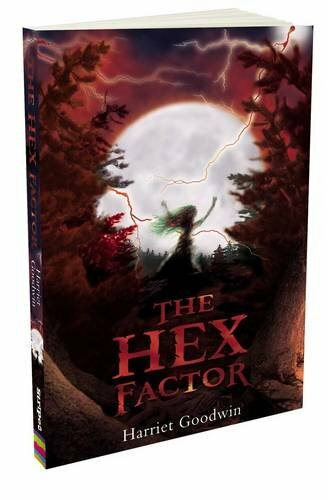 Her world is shaken to the core when her beloved Grandma Alice reveals the shocking explanation; that Xanthe is the next in a long line of True Witches, with a responsibility to reverse the damaging work of the Hexing witches, out to cause mayhem and danger wherever they can. The reader is drawn into Xanthe’s world as things spiral seemingly out of control, with insight into her fears and anxieties clearly portrayed. The well paced narrative builds towards a gripping conclusion with more than one twist in the story as Xanthe is forced to confront her deepest fears in the face of an evil threat. An absorbing read for confident and mature readers aged 10+.